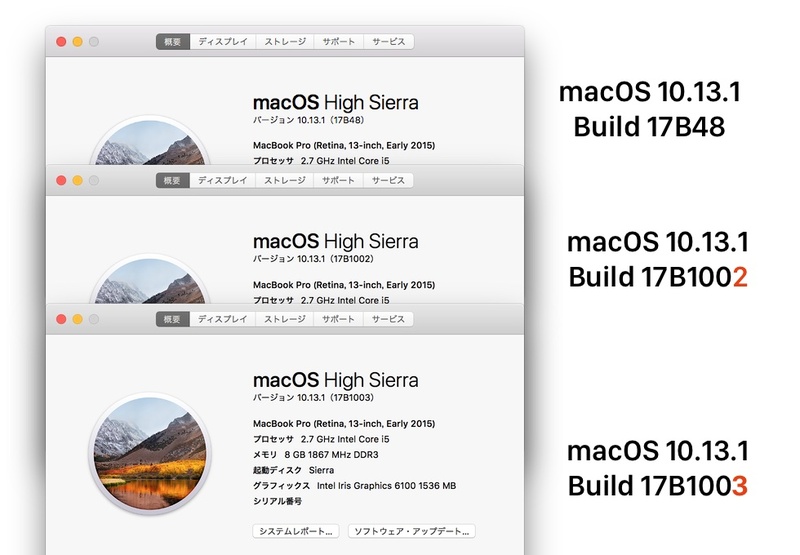 Apple、High Sierraのroot脆弱性を修正する「Security Update 2017-001 Build 17B1002」の不具合を修正した「17B1003」をリリース。 | AAPL Ch. When you install Security Update 2017-001 on your Mac, the build number of macOS will be at least 17B1002. Build number 17B1003 contains the security content of 17B1002 and additional bug fixes. Learn how to find the macOS version and build number on your Mac.